Due to work, I have to miss Saturday morning’s Greenmarket at Grand Army Plaza. So instead, I went into Manhattan to the Union Square Greenmarket yesterday, and was pleasantly surprised to see long beans. 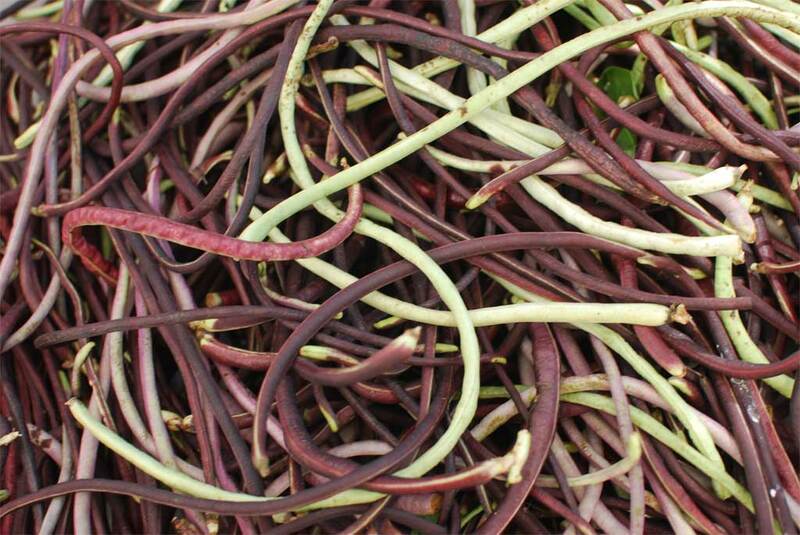 I’ve cooked with long beans before, but I got them from a vendor in Chinatown, who didn’t have this purple variety. I’ve never seen long beans at the Grand Army Plaza market, so I just had to pick some up. Any suggestions on what to do with them?